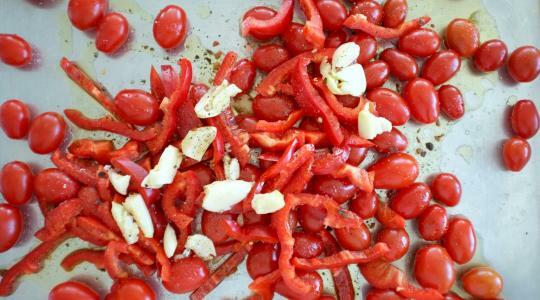 On a rimmed sheet pan, combine the tomatoes, bell pepper, garlic, 4 tablespoons of the oil, ½ teaspoon of the salt, ⅛ teaspoon of the pepper, and the crushed red pepper. Using your hands, toss together and spread into a single layer. 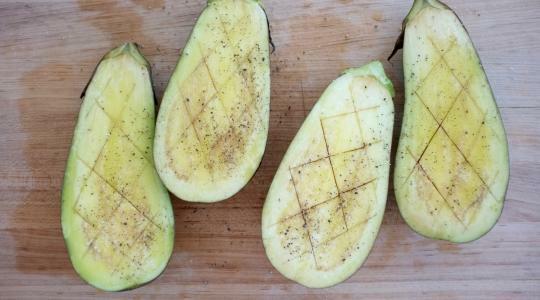 Cut the eggplants in half lengthwise. Use the tip of your knife to score the flesh in a crosshatch pattern without cutting through the skin. 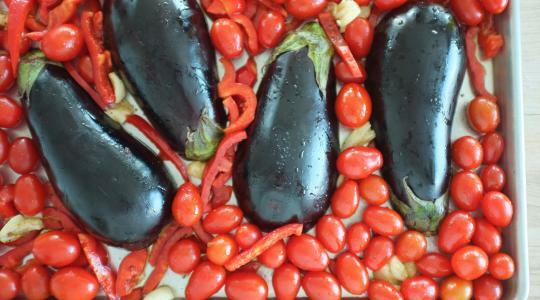 Brush the flesh with the remaining 2 tablespoons oil and sprinkle with the remaining ¼ teaspoon salt and ⅛ teaspoon pepper. Nestle them in the tomato-bell pepper mixture, flesh side down. 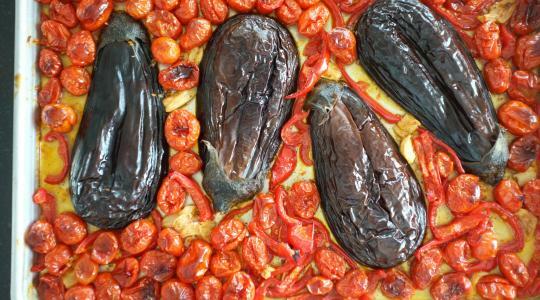 Roast until the eggplants are very tender and the tomatoes have burst and shriveled, about 1 hour. 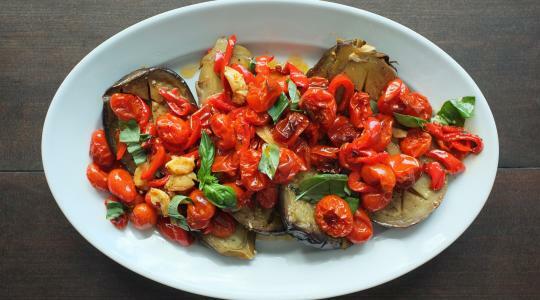 Sprinkle with basil and serve.